Our Russian exchange student, Suckmeoff, approves. Do not fall asleep if you’re Ontop. Pray to god you don’t catch Herpes in the corridor. 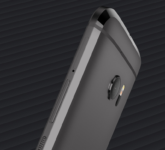 Best deal on the HTC 10 in the UK so far – Vodafone 4GB 10GB 2.5 months free! When is a brick in a washing machine not enough? 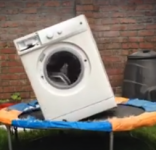 Why when you can put a brick in a washing machine on a trampoline of course! It almost feels like a cartoon (not quite lifelike but lifelike enough movement).